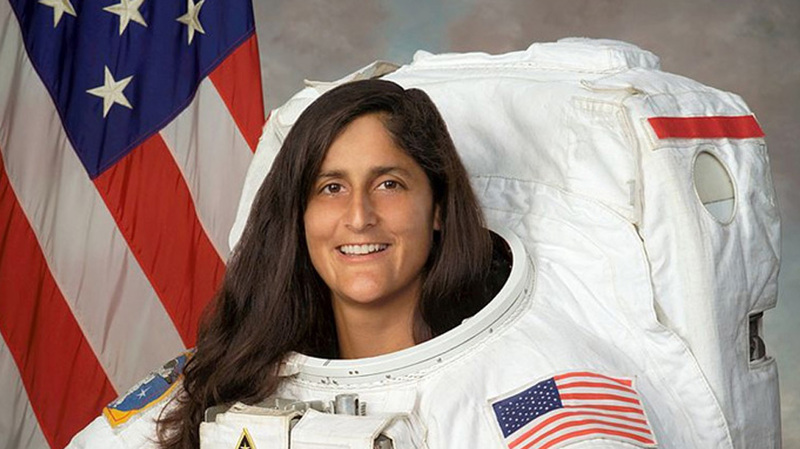 Indian-origin NASA astronaut Sunita Williams is now helping privately-held companies like Space X and Boeing to develop their new spacecraft systems. Indian-born NASA astronaut Sunita Williams holds the records for most spacewalk time by a woman with 50 hours and 40 minutes outside the International Space Station (ISS). She was the second American astronaut of Indian heritage to go into space after Kalpana Chawla. The astronaut is now helping privately-held companies like Space X and Boeing in developing their new spacecraft systems, which will eventually provide round-trip crew transportation services to the ISS. After completing two missions to the orbiting laboratory, Sunita William is continuing her career in space on Earth as a member of NASA's Commercial Crew Transportation Capability (CCtCap), npr.org reported on Sunday. In 2015, NASA announced Sunita as one of the four astronauts who have been selected by NASA for commercial space flights that will return American launches to US soil and further open up low-Earth orbit transportation to the private sector. Since the discontinuation of NASA's Space Shuttle programme in 2011, US astronauts have had to rely on Russian shuttles to get into orbit. The goal of the commercial crew programme is safe, reliable and cost-effective transportation to and from the International Space Station from the US through a public-private approach. NASA, Boeing and SpaceX have significant testing underway, which will ultimately lead to test missions when the systems are ready and meet safety requirements. Boeing's Starliner will launch on a United Launch Alliance Atlas V rocket from Space Launch Complex 41 and SpaceX's Crew Dragon will launch on the company's Falcon 9 rocket from Launch Complex 39A, according to NASA. After completion of each company's uncrewed and crewed flight tests, NASA will review the flight data to verify the systems meet the requirements for certification. Upon NASA certification, the companies are each slated to fly six crew missions to the ISS beginning in 2019 and continuing through 2024, NASA said in January this year. Williams, 52, has spent 50 hours and 40 minutes outside the ISS and part of her new job is to verify that the companies' spacecraft can launch, manoeuvre in orbit and dock to stationary spacecraft like the ISS, according to the npr.org report. "This is really different from my old job, you know," Williams was quoted as saying. "She is currently assigned to the cadre of astronauts training to fly the initial test flights for America's first commercially built spacecraft the Boeing CST-100 Starliner and SpaceX Dragon," according to the biography of the astronaut at the NASA website. Williams was launched to the space station on December, 2006 with STS-116, aboard the Space Shuttle Discovery, where she served as a flight engineer for Expeditions 14 and 15. She was born on September 19, 1965, in Euclid, Ohio, US to Indian American neuroanatomist Deepak Pandya and Slovene American Ursuline Bonnie Pandya.